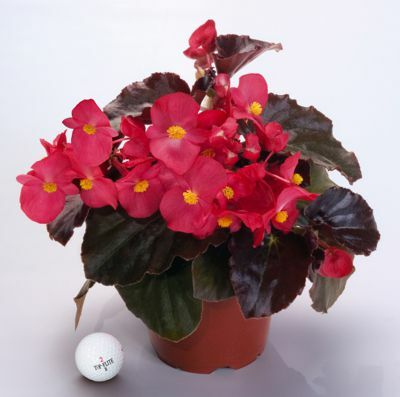 Begonia BIG Series Red Bronze Leaf - Brad's Bedding Plants, Inc.
Large 2-3” flowers are held above the leaves for maximum show and can reach a height 20” and 15” wide. The bronze foliage adds vibrancy and contrast to the striking red or rose colored flowers. Characterized by its up right arching habit, “Big” begonias make a stately presentation in park settings and large landscape plantings form full sun to partial shade.